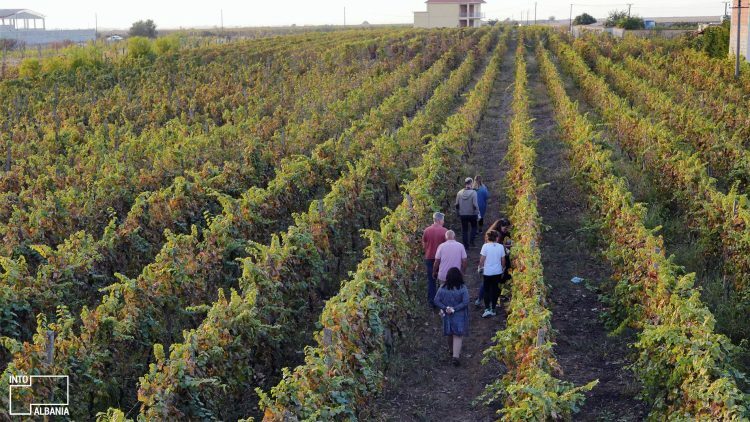 From North to South, the Open Explorer Team experiences the food, nature, and hospitality of traditional Albanian farms, wineries, and guesthouses, in their search for inspiring people and places. 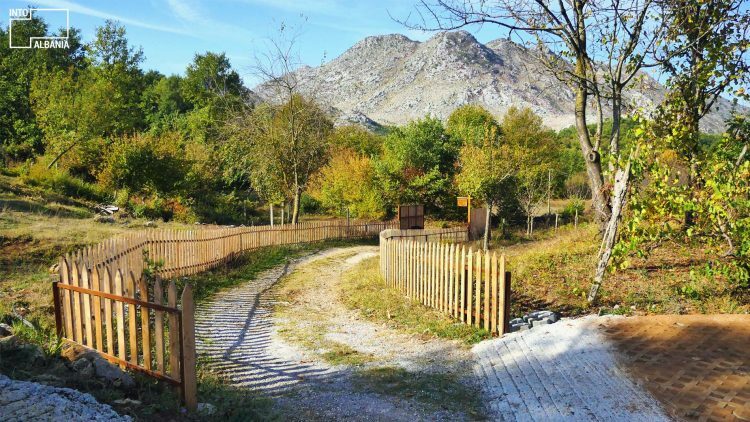 Is Albanian tourism prepared for sustainability? Is there a foreseeable future for a kind of tourism that aims to protect the environment, distribute profits directly to the public, as well as have a positive impact on society and the planet as a whole? 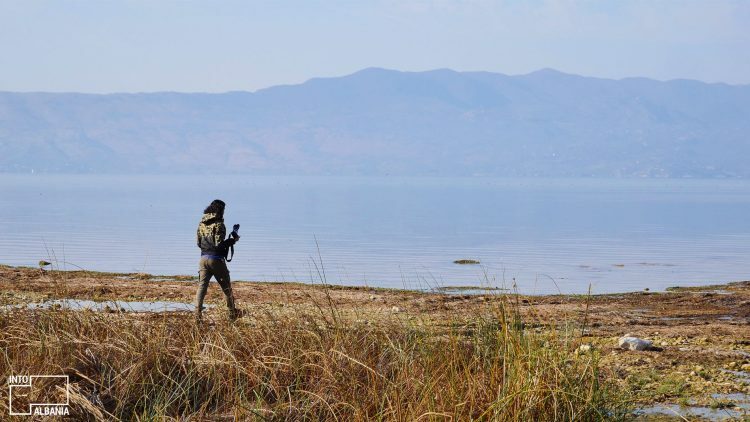 An international media production team of three took it upon themselves to answer the present questions via a multi-day journey though Albania which was broadcast in real-time on the online National Geographic platform, Open Explorer. Left to right: Cristina Angeles, Juan Carlos Rodarte and Erika Gilsdorf. Photo by IntoAlbania. National Geographic Open Explorer is a platform powered by National Geographic, which directly connects worldwide explorers with a global community and enables them to share their experiences with the National Geographic audience. 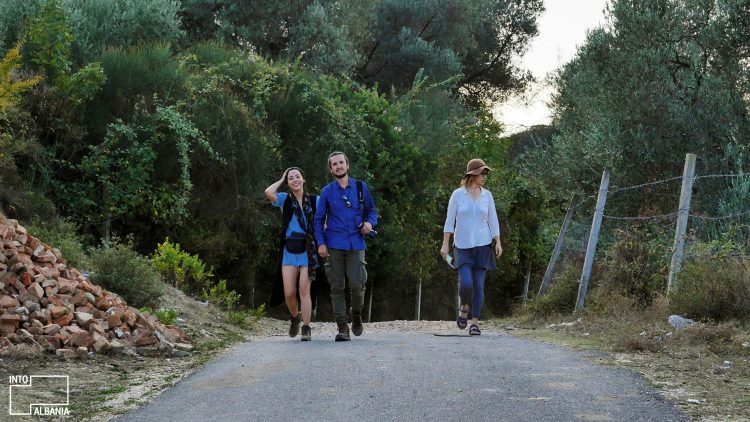 The team sharing their story on sustainable tourism in Albania is comprised of Cristina Angeles, Juan Carlos Rodarte and Erika Gilsdorf, all experienced in media production. They took advantage of the opportunity to also launch their parallel project, called Stepitup.world, which shares extraordinary stories of people making a difference around the world. 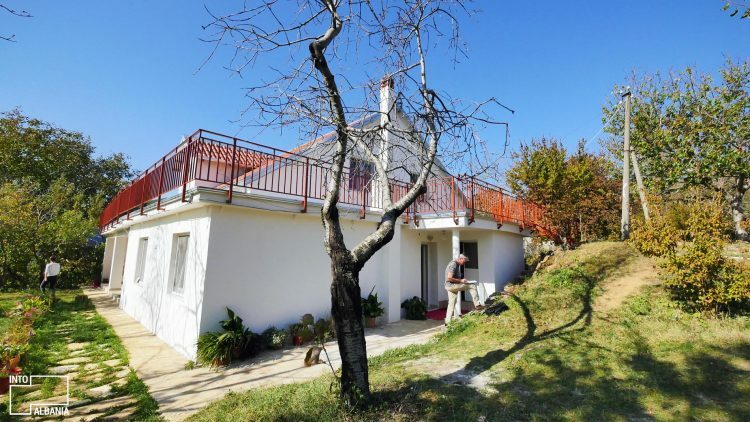 Their first stop was Nivica in Tepelena, in the guesthouse of Dallëndyshe and Petrit Merjo. Following their departure from the village in the early ‘90s, the couple returned to transform their old house into a Bed & Breakfast. 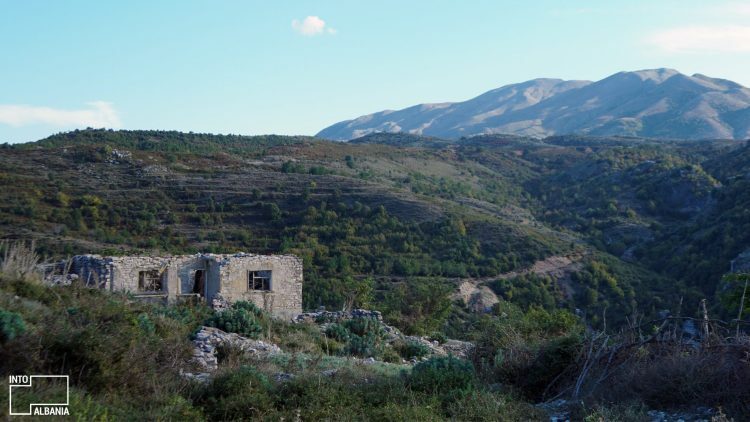 In fact, the entire village is deeply involved in the sustainable tourism movement in Albania. Relatively avant-garde in their aim, their project’s focus is on directing tourists’ attention toward respecting nature and village life. Nivica Village, photo by Step It Up find them in Instagram at @stepitupworld. 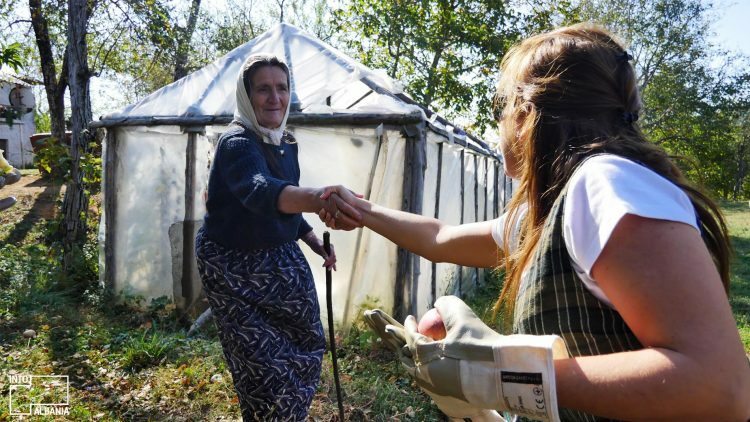 One of the team members, Cristina Angeles, shares the ways in which Nivica makes her recall her own grandmother who lived and worked, in Mexico, under very similar conditions to the ones found in this village. In awe of the simultaneously beautiful and rugged village landscape, Angeles admits she would like to return here someday, years from now, to see how this village has managed to retain its authenticity while sharing it with the world. Center of Nivica, photo by Step It Up find them in Instagram at @stepitupworld. 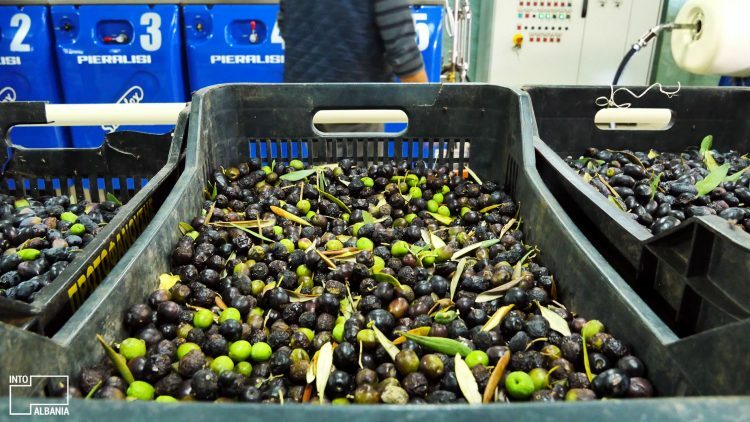 After the stop south of the country, the team headed towards central Albania, where they had the chance to visit the Subashi Olive Oil refinery. 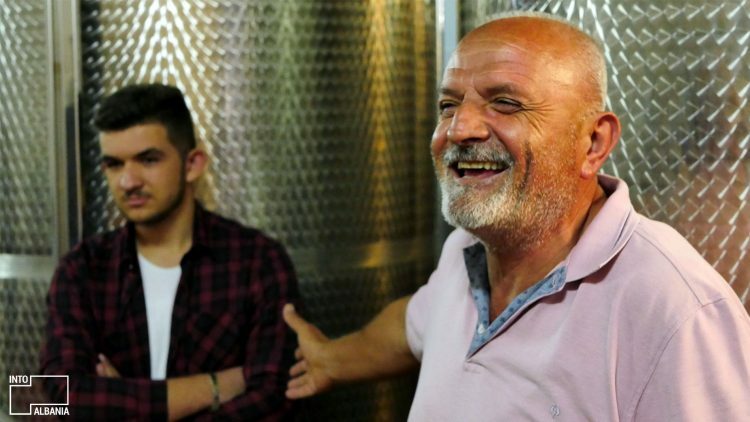 Headed by Silvana Subashi, this is one of the most popular successful stories of Albanian entrepreneurship. In addition to enjoying local success, the Subashi 100% extra virgin olive oil is internationally exported, as well. 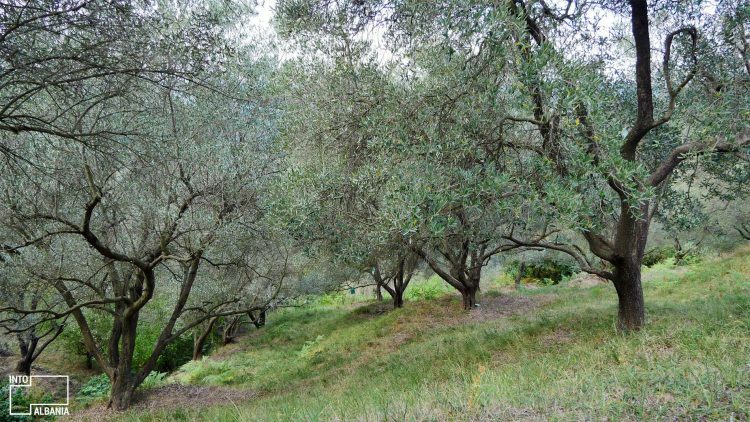 The 2000-year-old olive trees of this particular area are some of the most ancient in Europe lending the olive oil its special flavor and the entire place a timeless and soulful component, not easily found elsewhere. Olive trees at Subashi, photo by IntoAlbania. Olives at Subashi, photo by IntoAlbania. Agritourism includes any activities that intertwine touristic trips and related local farm services or village experiences. 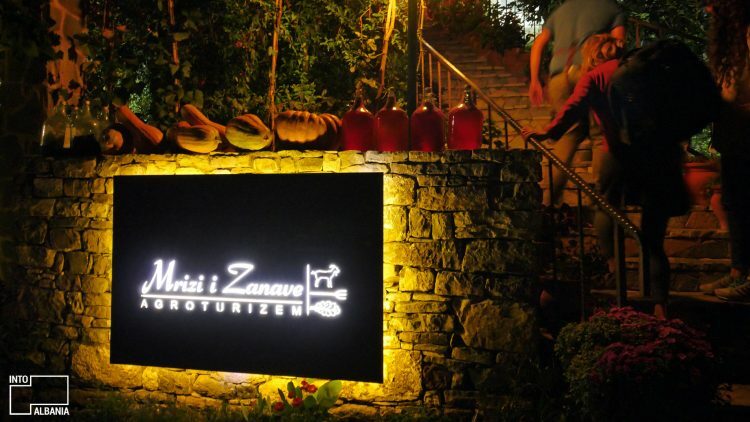 One of the most successful cases in Albania is indisputably “Mrizi i Zanave” (“Fairies’ Pasture”) an internationally renowned farm-to-table restaurant, vineyard and resort which serves the delicious and authentic Albanian cuisine of its head chef, Altin Prenga. 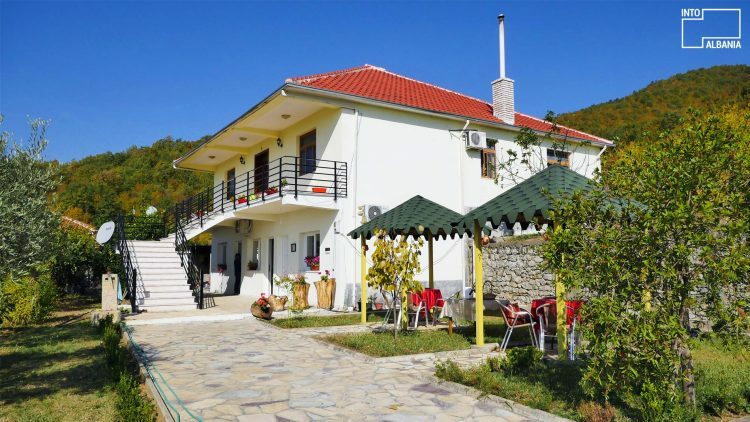 Since it opened its doors, this place appears to have mobilized the entire Fishta Village in Zadrima as farmers constantly supply the restaurant with fresh products. “Mrizi i Zanave” Agritourism entrance, photo by IntoAlbania. Head Chef of “Mrizi i Zanave” Altin Prenga, with Open Explorer Producer Erika Gilsdorf. Photo by IntoAlbania. Gourmet at “Mrizi i Zanave”, photo by IntoAlbania. 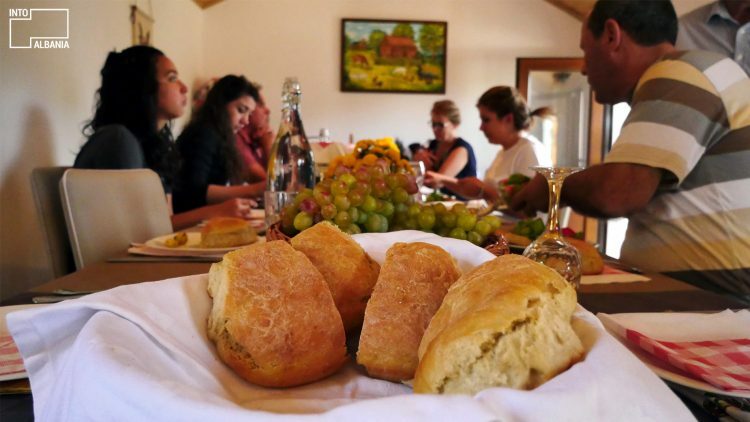 We leave Lezha behind and move toward Puka where, in Qerret Village, we find “Devin,” a typical family farm-turned-agritourism business which regularly welcomes tourists. Activities here involve anything from farm tours and horse-riding to fruit and vegetable harvesting. Most importantly, here you have the chance to truly become part of the family of Marie Shkjau, her husband and their five daughters, who contribute to the family business. “Devin” Agritourism, photo by IntoAlbania. The neighbor, a relative of the owners of Agritourism “Devin,” greeting the team and letting us pick apples from her tree. Photo by IntoAlbania. 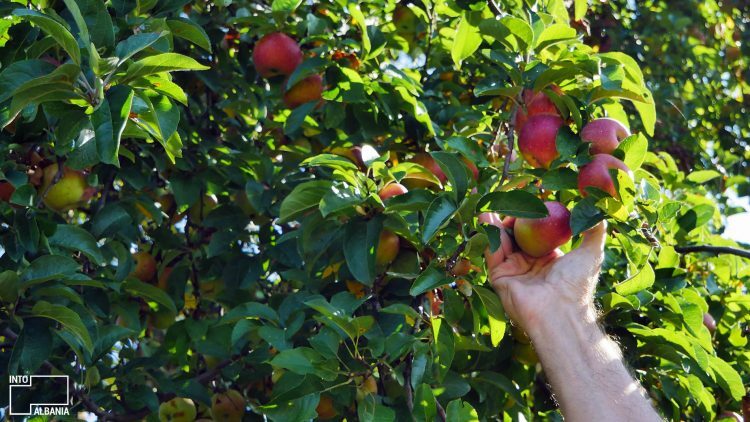 Apple harvesting at “Devin” farm, photo by IntoAlbania. Yet another stop on our tour is at the farm of Anete and Dioniz Marku, in Ganjollë Village of Guri i Zi (“Black Rock”) in Shkodra. 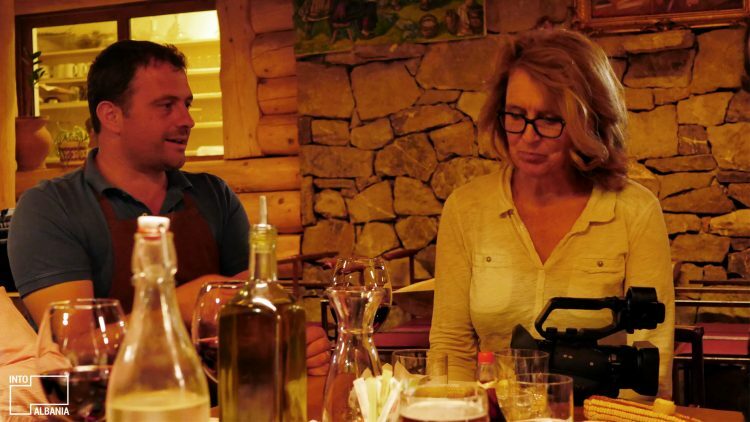 After emigrating to Sicily, the couple became familiar with successful agritourism enterprises there. The family, then, relocated to Albania where they applied their experience to their own business, a business that has truly turned hospitality into an artform. “Marku” farm, photo by IntoAlbania. 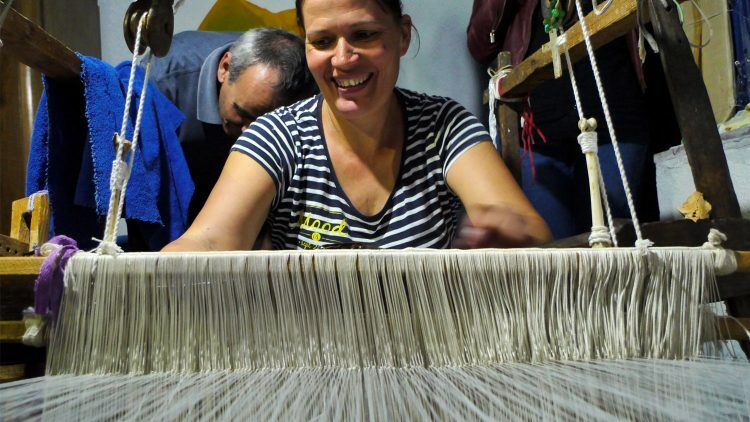 Loom work with Anete Marku, photo by IntoAlbania. 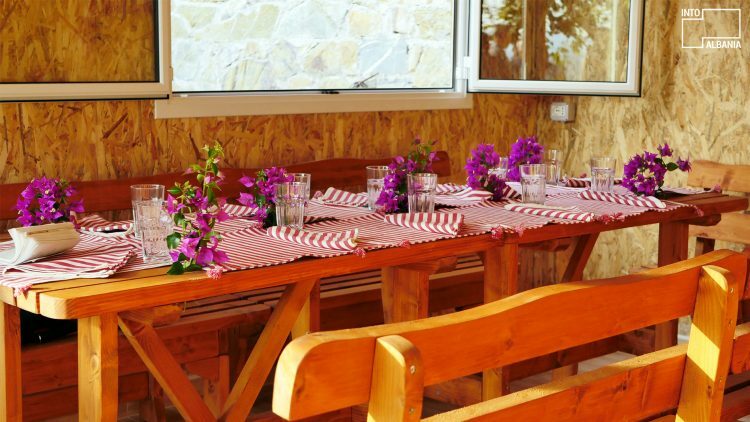 Lunch time at “Marku” farm, photo by IntoAlbania. 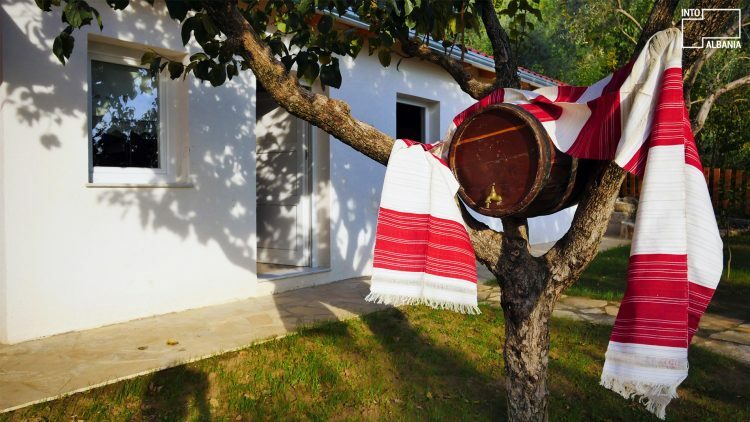 We receive a similar warm hospitality at “Rruga e Mullirit” (“The Mill Road”), located at the foot of “Pylli i Gështenjave” (Chestnut Forrest) in Reç, Malësi e Madhe. 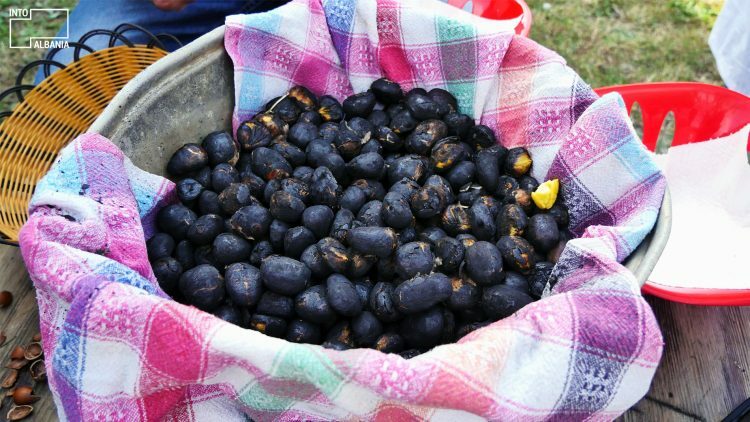 Mirash Markaj, the head of the household, helps us gather chestnuts, as they are currently in season, while his wife, Zina, begins baking corn bread, made with farm fresh corn. Here, as in all the other farms, you forget that a thing such as grocery shopping exists, for all the necessary food is right outside your window. “Rruga e Mullirit” guesthouse, photo by IntoAlbania. 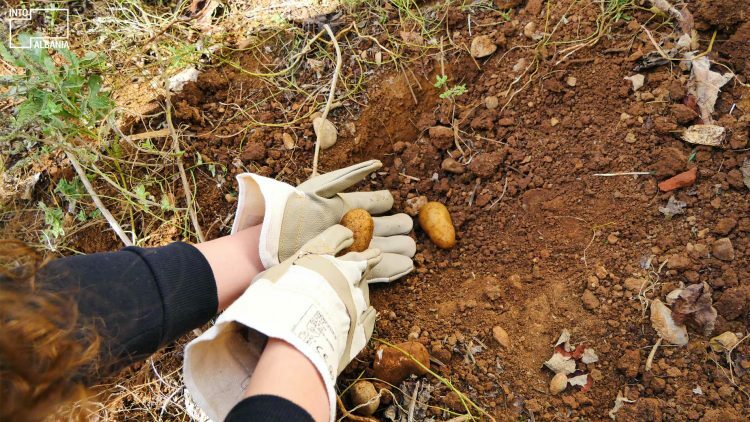 Fresh potatoes from the garden, photo by IntoAlbania. Lunch time at “Rruga e Mullirit”, photo by IntoAlbania. Roasted chestnuts, photo by IntoAlbania. 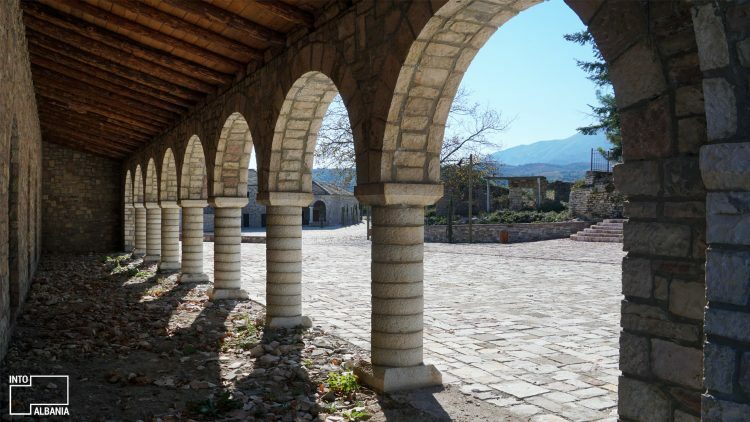 We move to “Kantina Kopliku” (“Koplik Winery”), the penultimate stop of this tour, located only 15 minutes by car from Reç village, in Koplik. A smiling couple, Shaqir and Afërdita Hysa, warmly welcome us. 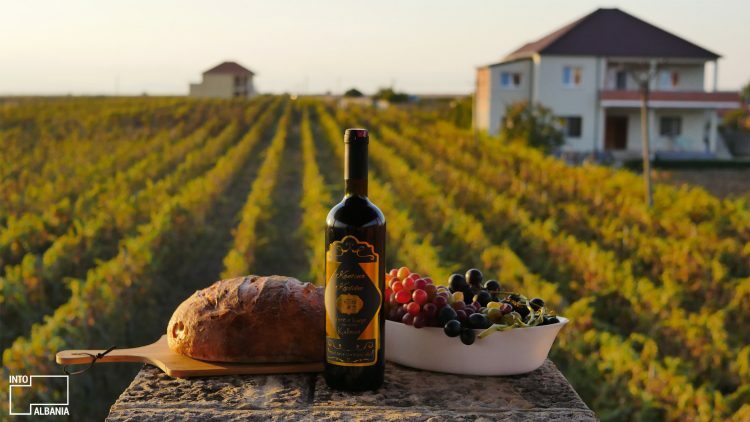 A bit before sunset, they take us to the second floor of the winery where we enjoy a nice glass of Kallmet (a favorite national variety) looking over the winery’s beautiful vineyards and Shkodra Lake. Afterwards, we also get to sneak in a little grape harvesting. Grape harvesting at the vineyard, photo by IntoAlbania. Shaqir Hysa talking about how his children will inherit the winery in the future. Photo by IntoAlbania. Koplik Winery, photo by IntoAlbania. The last stop is at Shega (“Pomegranate”) Agritourism in Muriqan. Ahmet’s farm echoes a kind of Garden of Eden, an idyllic place where one subsides on solely what nature has to offer. The Sylejmani family serves us with perhaps the best fresh pomegranate juice we have ever tasted, doing justice to the name of the place. 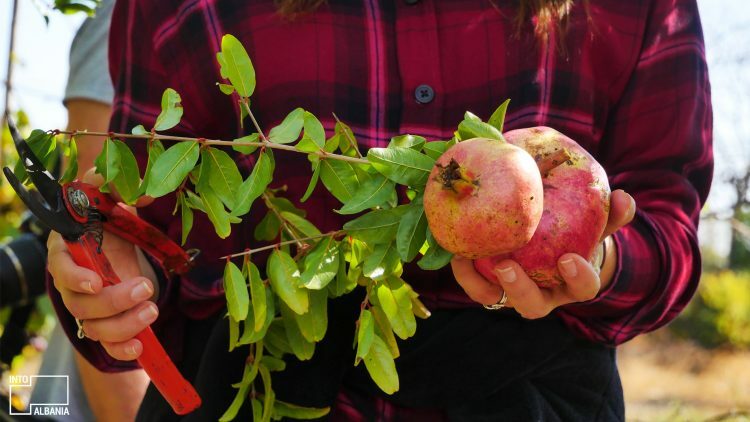 It does not take long for us to hunt for the best pomegranates in the farm, pick and collect them along with other fruits and vegetables. “Shega” agritourism villa, photo by IntoAlbania. 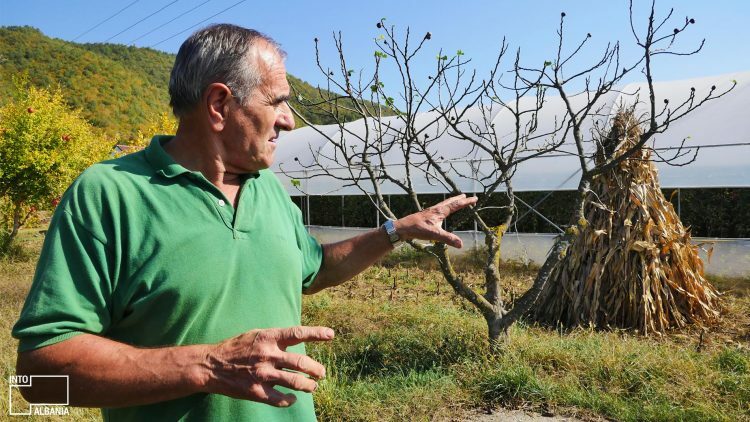 Ahmet Sylejmani showing the greenhouses at his farm. Photo by IntoAlbania. Fresh pomegranate, photo by IntoAlbania. All of the guesthouses have truly adopted a “learn by doing” model, which truly engages the tourists with village life and its various processes. A shared feature among all the visited farms and guesthouses was the generosity of the families, who effortlessly turn a simple village visit into a real opportunity to come in intimate contact with locals, their traditions, customs and daily routine. And, after all, what more could any tourist ask for than beautiful rugged nature, delicious fresh food, and warm friendly faces? 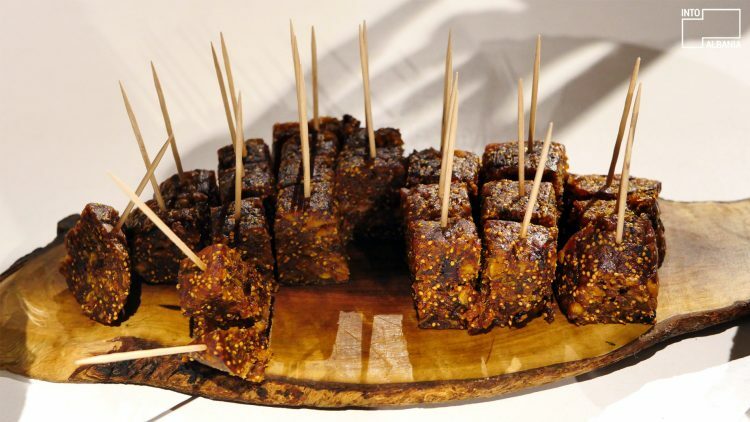 Enjoying the aftertaste of this sweet experience, the Open Explorer team will go on to visit Montenegro. Erika Gildsorf, the team’s Producer, confesses that the entire journey has been quite a revelation, one she is immensely proud to share with an audience. 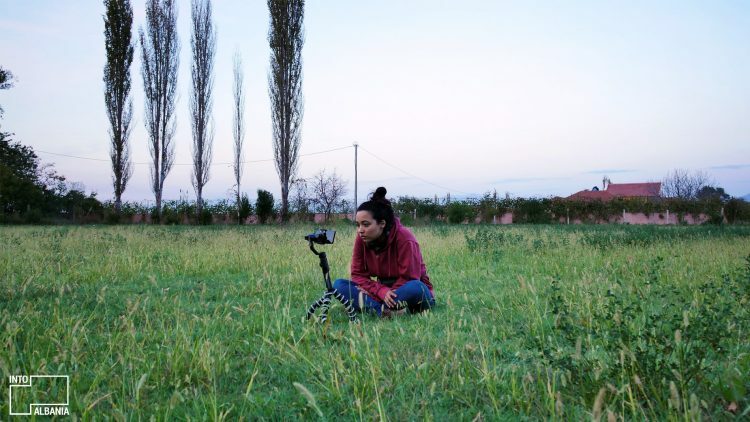 What moved her the most was “Albanians’ dedication in protecting their environment and preserving their authenticity,” an opinion that is shared by Cristina and Juan Carlos, who now consider Albania a second home. Cristina Angeles, part of the National Geographic Open Explorer team. Photo by IntoAlbania. Juan Carlos Rodarte filming on drone at Shkodra Lake. Photo by IntoAlbania.